Educational Qualification : B.A., LL.B. Practised in the Session & Trial Court Bikaner from 1981 to 1985 and subsequently shifted practice to the Rajasthan High Court, Jodhpur; CAT, Jodhpur; and Rajasthan Civil Services Appellate Tribunal, Jodhpur and Jaipur in Constitutional, Civil, Service, Criminal and Labour matters. Specialised in Criminal, Labour and Service matters. Was on the panel of lawyers of various Government Departments since 1986. Was appointed as Assistant Government Advocate and then as Deputy Govt. 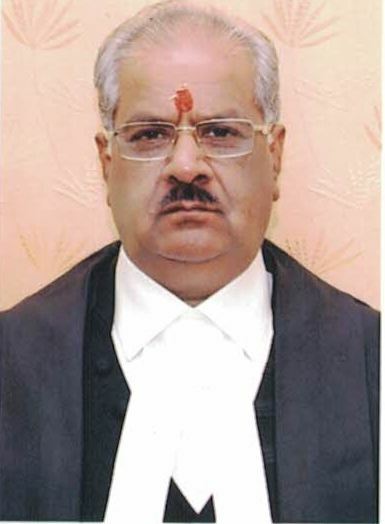 Advocate, Rajasthan High Court during the period July, 1986 to June, 1990 and Standing Counsel for Indira Gandhi Nahar Pariyojana, Arts and Culture Department, Accounts & Treasury and Irrigation on behalf of Govt. of Rajasthan. Also represented Panchyat Samities, Maharshi Dayanand University, Ajmer, Oriental Bank of Commerce, URMUL Dairy and Allahabad Bank besides represented many reputed firms like Rallis India Company and Gujarat Sheep and Wool Department, before the Rajasthan High Court.